Sold both nationally and globally, our environmentally friendly products are all ideally designed for any general or industrial applications you may have. 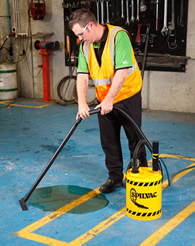 Whether it be for high performance vaccum, blow cleaning, waste recovery, through to conveying and fume removal. We can match a product to suit your needs. And where special systems are required, our Design & Engineering team can modify or adapt one of our versatile products to solve your application problems.